St Peter’s, Eaton Square, an imposing neoclassical church in the heart of Belgravia, has been hosting chamber music concerts for ten years. With its bright, welcoming interior and generous acoustics it’s a delightful venue, just five minutes from Victoria, and one I wish I had discovered long ago. The Vasari Singers began its programme under Jeremy Backhouse with four of Bach’s motets for double choir. These were well-disciplined, tautly rhythmic performances all the more impressive in that they were done without any accompanimental support whatever. Der Geist Hilft and Komm, Jesu, Komm both unfolded their imitative phrases in neatly-shaped paragraphs, while Singet dem Herrn positively bounced along. Only in the sinuously chromatic passages of Fürchte dich Nicht was the voice-leading occasionally a touch murky. 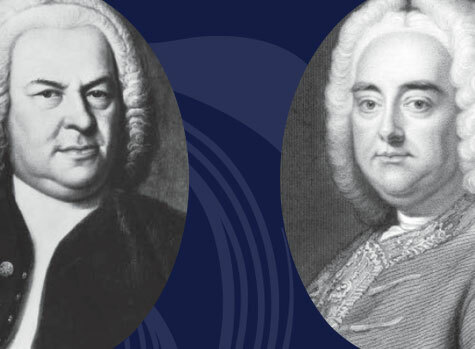 As much as two decades before some of these traditionally Lutheran motets were written, Bach’s more worldly contemporary, Handel, was exposing himself to the Mediterranean sun and the more lyrical Italian style. An early result was the exuberant psalm setting Dixit Dominus, which the Vasari Singers projected, accompanied by the Brandenburg Sinfonia (not ideally balanced – perhaps a trick of the acoustic), with exhilarating verve and brio. The solos were well taken, mostly by members of the choir. An even greater contrast with Bach’s austerity was offered by William Babell’s astonishing 1717 arrangement of Handel’s battle aria Vo’ far Guerra from Rinaldo. Delivered by harpsichordist David Wright with dazzling virtuosity, this piece, with its vertiginous cascades of semiquavers, was surely the Tiger Rag of its day.